In both a physical and metaphorical way, I (almost) lost my voice during the recent ASTC conference (the international gathering of science center folks.) My laryngitis is mostly better now, but I'm still mulling over why I felt like there were more hucksters and monument-builders dominating the conversation at the conference than usual. Is it the effects of the poor economy, or an inexorable shift in the science center field itself? IMAX movies about giant robots taking over the world? Bring 'em on! Exhibits about movie props without the annoying detail of including any difficult science content? Call our ticket line right now! And now onto to the trend of launching gigantic science center juggernauts... I overheard the director of a newly-opened palace of mediocrity complaining that he would NEVER work again with the fancy museum design company that was one of their co-conspirators. Well now's a great time to come to that realization, isn't it? The checks have been cashed, the damage has been done --- and the fancy museum design company is on to another gigantic new museum project --- it costs money to pay for all that smart office space and furniture in the big city, after all. Just as I was pondering how the sponsors of the ASTC conference possibly help to perpetuate this money-churning storyline that we need a constant stream of bigger (BIGGER!) projects to keep the science center world moving forward, the winners of the "Edgie" awards were announced. The Roy L. Shafer Leading Edge Awards are presented annually to ASTC members and/or their employees in recognition of extraordinary accomplishments in Visitor Experience, Business Practice, and Leadership in the Field that not only enhance the performance of their own institutions but also significantly advance the mission of science-technology centers and museums. I'd like to highlight and give a tip of the hat to two of this year's winners: Klima X (a clever and thought-provoking look at global warming) produced by the The Norwegian National Museum of Science, Technology, and Medicine and The Coyote Point Museum (an institution in the midst of carefully recreating itself to better serve its constituent communities.) In each institution's case, they are thoughtfully addressing critical issues of science with both rigor and creativity. I say thank goodness for the Edgie awards, a welcome antidote to both the mindlessly conjoined "numbers at any cost" and "bigger is better" museum trends that often seem to be dominating both the media landscape and the professional microphone. 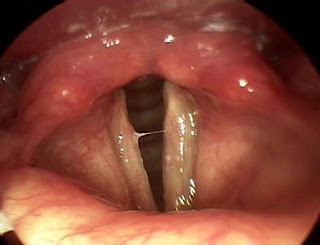 There, my voice feels better now. Paul, Thank you for the post and saying what needs to be said. I am so glad that I didn't attend ASTC judging from your post. Every year I go home upset that the field seems to be getting more and more off topic. Is there something that we can do about this? I think a group needs to be formed to remind ASTC we it exists and stop this build it bigger model. I'm still glad I went to this year's ASTC, but it is hard to keep bumping into the "bigger is better" mentality.